Buy the best selling Kratom brands at Party Nuts distribution today. Home > All Products > Whole Herbs Kratom; Green Vein Borneo 30g, 60 count Bottle. 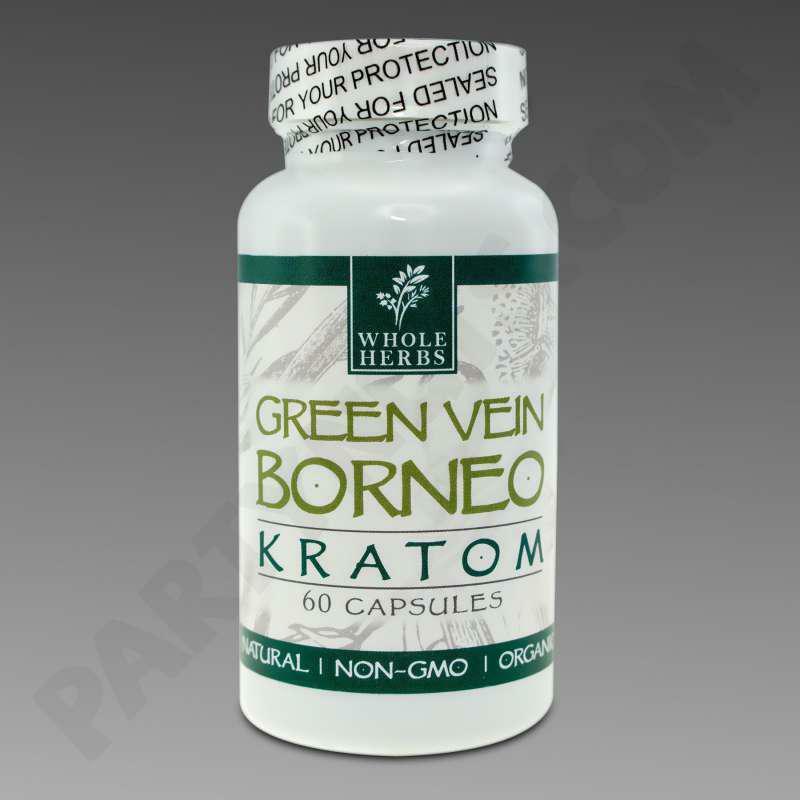 Whole Herbs Kratom; Green Vein Borneo 30g, 60 count Bottle. 60 count bottle contains 30 grams. Great quality Green Vein Borneo Kratom in bottles. 25 bottles per case. Whole Herbs Kratom are discounted by a percentage off the total dollar amount spent on all Whole Herbs Kratom purchased. 2% Discount given when spending $500 to $2,499 on Whole Herbs Kratom. 6% Discount given when spending $5,000 to $9,999 on Whole Herbs Kratom. 8% Discount given when spending over $10,000 on Whole Herbs Kratom.